A beautiful marbled diamond print. 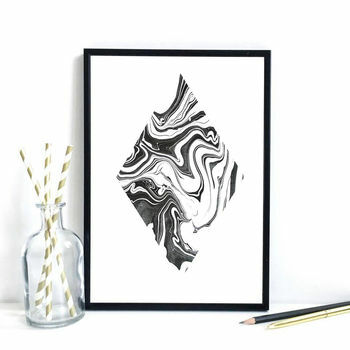 This monochrome print makes a perfect gift for a friend or relative and works great as a one-off piece or as part of a collection. 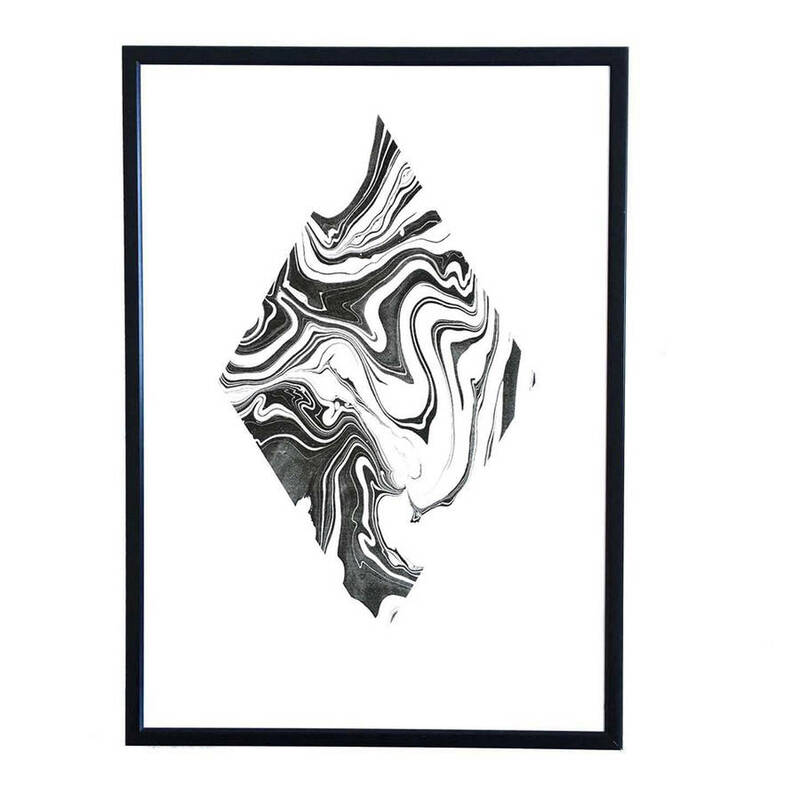 This illustration is printed on premium 300gsm 100% recycled paper. All prints are shipped in board backed envelopes. *The paper may be very slightly speckled as it is 100% recycled. Available in A2, A3, A4 and A5. This product is dispatched to you by Meraki Meraki.